Today I'll shortlist the plug-ins that I use most frequently when I want to reinforce the sonic cohesion of a mix. As usual, this is by no means an exhaustive list. Far from that. My only goal here is to try to somehow point you in the right direction so you can make your own decisions later on. I'll start with the tape machine emulators. 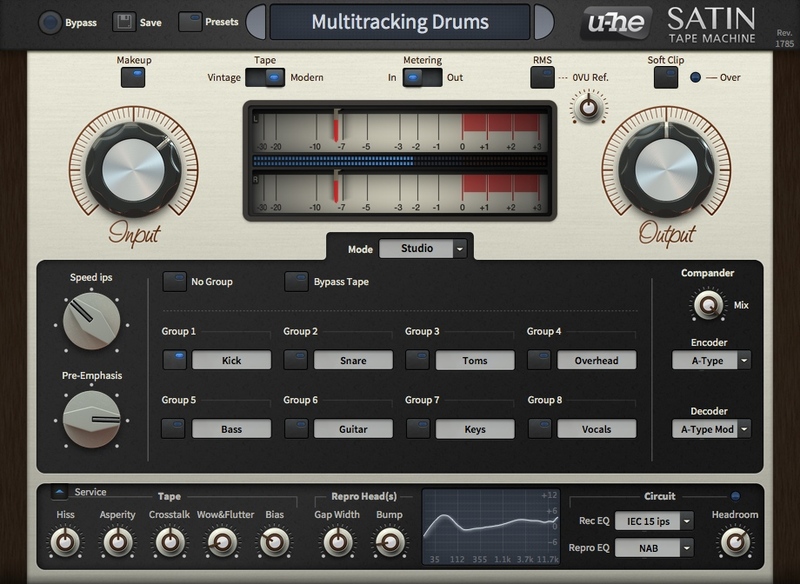 I often rely on the U-He Satin, which offers a very wide array of colors and possibilities. In my opinion, the subtlety of its processing elegantly adds a nice retro/analog lacquer to any production. However, when I'm looking for something more evident, I often turn to the more accessible ReelBus by ToneBoosters. When it comes to analog console emulators, I really like the Slate Digital VCC 2.0. Before I discovered the VCC, I used to use the Sonimus' Satson. But my all-time favorite when I want an unambiguous vintage color is the Klanghelm SDRR (https://en.audiofanzine.com/plugin-distortion-overdrive/klanghelm/sdrr/). And, in case you are interested, they have a free version of the plug-in available. When it comes to EQ, I seldom use "virtual analog" because I prefer more subtle and precise plug-ins. That said, when I get the itch for "analog" gear, I really enjoy using the SlickEQ Gentleman's Edition by Variety Of Sound. 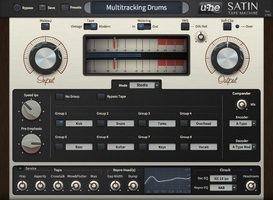 The software maker also offers in the SlickEQ a free version of the plug-in, which is a bit more limited. From time to time, I use the Neve and SSL modeling plug-ins that come with Slate Digital's Virtual Mix Rack, whose compressors I also employ. Speaking of compression, I must admit that I have a weakness for this type of tools, especially considering when I'm going after the glue effect. To that end, I use several plug-ins to have a wide array of options: I recently tested the Klanghelm MJUC and it has ever since taken a very important spot within my arsenal. And, as usual with this German company, there is a free version available – what else could you ask for? The SKnote SDC dual compressor is also a regular on my buses. Finally, U-He's Presswerk, the chameleon among analog compressors, can be found on many of the productions I put my hands on, too. And that's it for today. But before I say goodbye, I invite you to try out the free/demo versions of these plug-ins so you can find the right one for you. 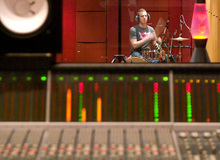 See you next week for some new adventures in mixing!